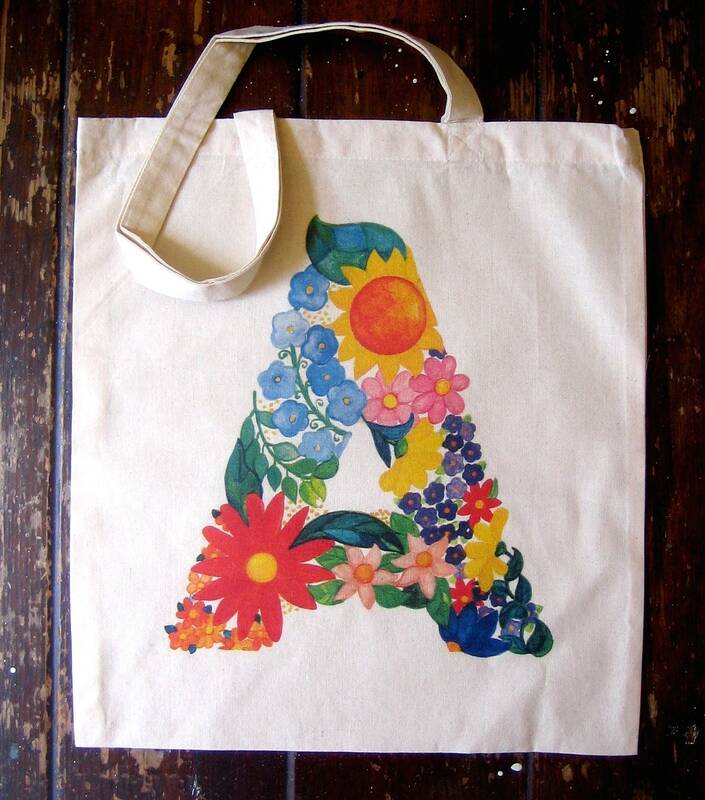 Letter "A" market tote from high resolution scan of original flower watercolor letters. 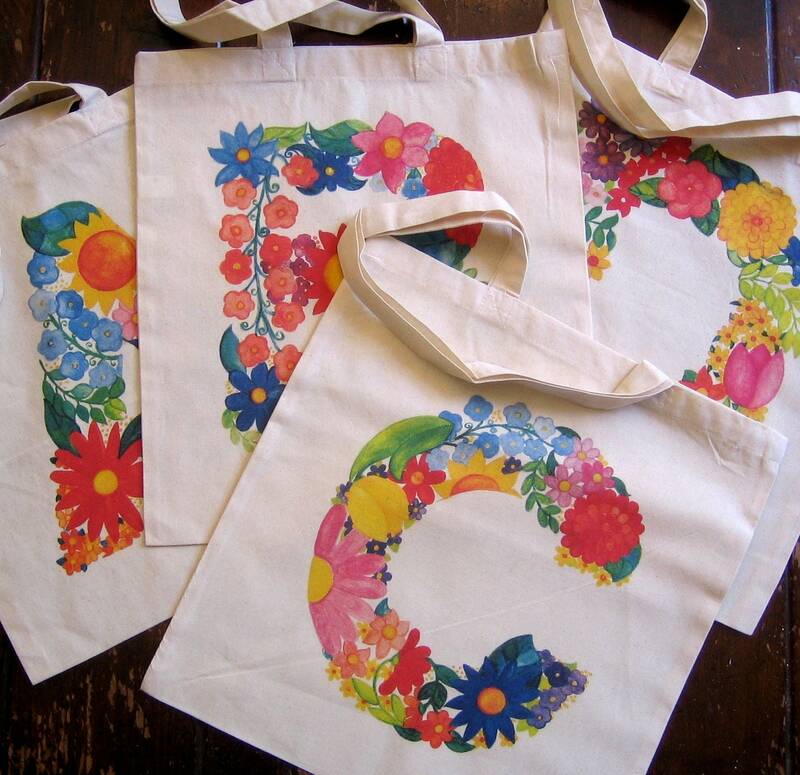 Tote is appx 15 X 15.5, natural, cotton. Other available letters are B, C, D, E , M, and S. More later.